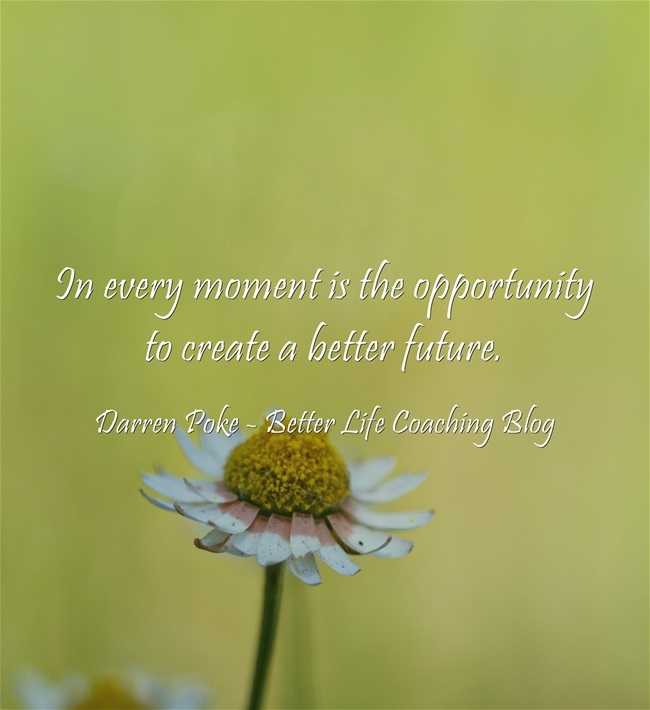 In every moment is the opportunity to create a better future. It’s easy to fall into the trap of thinking that we just need the right opportunities, when maybe we just need a greater awareness of the opportunities around us and to make better use of them. Maybe that opportunity is right in front of you. Maybe the time is now. I agree with you a 100% that in every moment is the opportunity to create a better future. You should maintain a cheerful disposition and work your way up to attain glories of life. However, sometimes, life isn’t as easy as it appears. A life coach is needed when we are stuck and unable to move further. He can save us hundreds of hours and lots of hard work required to accomplish our chosen goals. You can visit http://www.therapytribe.com to locate a life coach, who can change the course of your life. It’s an online directory of therapists, counselors and life coaches in US, Canada, UK and Australia.